Webmasters: Please display this banner on your site! NEW BOOK: DECONSTRUCTING LUCIFER NOW AVAILABLE! 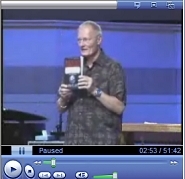 View a video trailer for the book now! DOWNLOAD ADOBE PDF BOOKS AND START READING TODAY! The reason for Paul's mysterious trip to Arabia after his conversion. The connection of Mt. Sinai not only to Paul's revelation of the rapture, but also to his revelation of the last trumpet at the resurrection of the dead in Christ. The meaning of the last trumpet that will precede the resurrection of the dead in Christ. 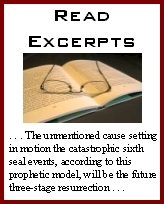 The importance of the opening of the seventh seal in ushering in the day of the Lord's wrath. The kingdom of God and its connection to the ascension and Revelation chapters 4 and 5. A new exploration of the spirit of antichrist unleashed at the opening of the first seal, including Greek gnosticism's influence in the early church. Exploration of the ceremony of incense after the opening of the seventh seal, and what it tells us about the timing of the future tribulation period. Finally, an epilogue that will challenge both the current post-modern spirit of atheism, as well as the daily walk of all believers in Christ. 2. Then His Voice Shook The Earth . . .
What do these resurrections have in common? And what impact could it have in the future? Have you ever questioned the traditional explanation of how the "rapture", or catching up of believers will take place? Among those who believe this teaching, it has long been believed that newscasts will suddenly flash a story that millions of people will be reported as missing all around the world. Planes will fall from the sky, accidents will occur all over the globe, and the world will be in a state of bewilderment over where everyone disappeared to. How will it be explained? Did the "rapture" just take place? Were all the people abducted by aliens? Many theories about just how it will be explained have been advanced. But none of them made sense to me, and there was no explanation I felt comfortable with. 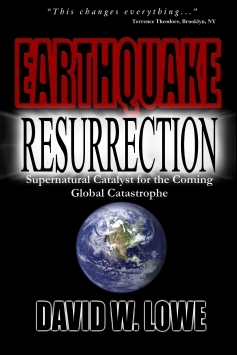 Earthquake Resurrection explores the possibility that the disappearance of a large group of believers worldwide will be masked by global catastrophe. This possibility is based on a pattern found in scripture that the power unleashed when a human being is resurrected into an immortal body causes a shaking of the surrounding earth. The pattern is evident with the two recorded historic instances of the resurrection of Jesus Christ and the "many saints who had died" in Matthew 27, as well as with the resurrection of the two witnesses of Revelation chapter 11 in the future. What does this portend for the future, much larger, global resurrection of the dead in Christ? Will there be a global shaking of the earth from the power of the resurrection? What is the purpose of the "harpazo", the Greek term for the quick and sudden snatching or seizure of believers just after the resurrection of the dead in Christ? Is there some kind of harm from which they need be snatched away? What is the "trump of God" that accompanies the event? 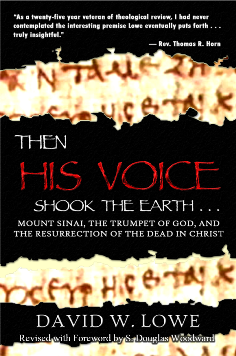 If God's voice was described as the sound of a trumpet in scripture, and in the past it caused Mount Sinai and the surrounding area to shake greatly, will this also occur when the trump of God is sounded at the resurrection of the dead in Christ? 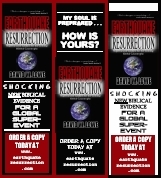 All these and many more important questions are explored and answered in Earthquake Resurrection. If you have any interest in (a) the current natural disasters engulfing the earth, (b) the prophetic Word of God, or (c) the future of the planet, then this book is for you. Read early reviews and reactions to the book, selected excerpts of the book, and the many other resources on the site. "Most books that I get, I don't take the time to read them because I'm just too busy with many other things...This particular book, I've read it six times. It was that good. This is a highly recommended book, you will be fascinated by this book. It's where I got the seed thought for what I preached a week ago."